A web host provides your website with server space and storage to run on, making it available every time. It is a very vital aspect of any website as no website can go live without being hosted. Deciding on the web host to entrust your business website to is a very tough decision as there are thousands of business web hosting companies out there – some good ones and some wannabes. Choosing a wrong web host can spell doom for your website as it might affect your search engine rankings, cost you lots of money for maintenance, affect your revenue growth, and increase security risk. So it is always recommended to do proper research and choose the right web host for your business. At TopYouGo, we have made the choosing process quite easy for our clients. We have tried and tested dozens of web hosting services and are currently working with the best to bring a comprehensive and reliable web hosting solution with 24/7 customer support to our clients. Our Website Design project comes with 1-year free business web hosting. We also give 1-year free business web hosting to clients who are on our website care plan for a minimum term of 6 months. Reliability: We understand the need for your website to be available to visitors 24/7, and that is why we offer 99.9% uptime. We have also put advanced tools in place to protect your website from attack and other advanced features such as speed optimisation and integrated content delivery network. Upgrades: We offer our clients to choose from a variety of options based on their website needs. From sufficient space for a corporate business website to unlimited space, unlimited bandwidth, unlimited domain, unlimited sub-domain, and unlimited databases – we are flexible to your business requirements. So whether your website has hundreds, thousands or even millions of visitors, we have the right hosting package for you. E-commerce Support: We provide support for customers looking to sell their products online on their eCommerce sites with one click auto installation, payment gateway installation, SSL certificates, dedicated IP address, and many more. Multiple Domains: Our web hosting services also support domain parking for clients who wish to park their unused domains. The option for multiple domains is also available to clients that have multiple branded websites. Redundancy: You do not need to worry about losing anything stored on our server as we have backup servers in place in case of emergency and perform daily backups of all your data. Your website is safe with us. Monitoring: We monitor all websites hosted on our servers. When there is an issue with your website, our development team is notified immediately by the monitoring service and actions are taken to put your website back online. RAID 6 SSD Drives: All of our clients’ accounts are provisioned with RAID (Redundant Array of Independent Disks) 6! 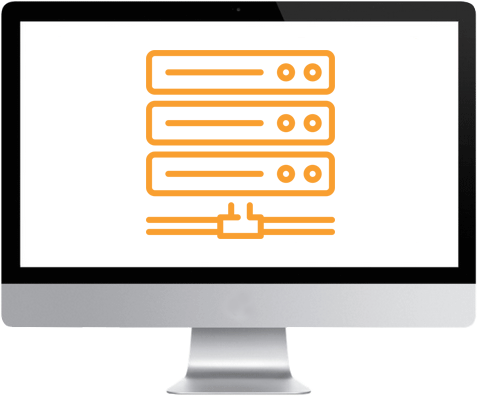 RAID allows you to store data on multiple hard disks, which helps to improve performance, increase fault tolerance, as well as increase throughput compared to other RAID types, without sacrificing lifespan. In the rare event that a hard drive fails, the machine continues to serve your site, and the failed drive is seamlessly replaced. We use SSDs (Solid State Drives) which perform about 20 times faster than conventional HDDs. SSDs can push through more data from the web servers. SSH Access: We offer SSH access that is truly secure, to our clients through our customised Jailshell, which helps to ensure that users can only see what belongs to them. SSH also encrypts your data which helps prevent third-party users from accessing your sensitive information. 1-click auto-installation: We offer 1-click auto installation for over 400 applications including WordPress, Prestashop, Joomla, Magento and much more. You can also update to a newer version with just one click. When we handle your website hosting, you can be rest assured that your websites are in safe hands. Do not let a bad web hosting service ruin your business, opt for the best business web hosting service from us.